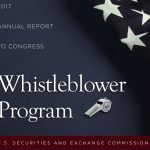 This is a brief overview of the process of the SEC whistleblower program from initial reporting to the claim for an award. Every case is unique and may involve deviations from this process. Please call our whistleblower attorneys at 1-800-590-4116 with specific questions or an analysis of your situation. If you are an employee that has discovered a potential violation of the federal securities laws and wish to report it either to your company or to the SEC, the first step is to ensure that you have sufficient evidence to make a credible report. Consulting with an attorney before you gather the evidence is also a prudent course. The rules are complex and the SEC is busy, so having an attorney working on your behalf can improve your odds. We have been through this process multiple times and the insight gained helps all of our future clients. It also gives you an ally if you are retaliated against during the process. When you contact us, we will setup a phone call with you in order to discuss your evidence and the suspected violations of federal securities law. If you have already internally reported to the company before contacting us, please let us know the date because there are deadlines following internal reporting in some situations. We will review your evidence, the securities law and the rules of the whistleblower program to make an initial determination of whether we should undertake legal representation of you. If there is mutual interest in proceeding, we will prepare a retainer agreement which will set forth our fee. This will be executed by both you and a partner of our firm in order to formalize our relationship. If there is no signed, written retainer, you are not our client. You are not required to hire a lawyer unless you wish to remain anonymous from the SEC. Most individuals who receive an award have hired an attorney by the time they submit their reward claim, according to the SEC. Some employees, particularly in compliance, have a waiting period before they can report and become eligible for an award under Dodd-Frank. Most whistleblowers who speak to one of our attorneys report directly to the SEC and are not required to complete this step. The information about the securities law violation and the company involved is then complied on to the government form. After we have prepared an initial draft, you will review it for accuracy and additional information. We will then revise and prepare for your signature. If you wish to proceed anonymously, we will have you sign a substitute Form TCR signature page which we maintain in our office as well as a consent form authorizing the submission of your original signature page to the SEC. If they believe you have committed fraud in your submission, we are required to turn it over to them. The Form TCR can be submitted online, but we will fax and mail the completed form to the Securities and Exchange Commission to ensure receipt. If you have already submitted the Form TCR before engaging us , we will review your copy or obtain a copy from the SEC. If necessary, we will revise it. 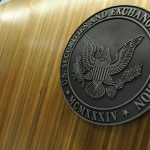 It typically takes several months for a tip to be added to the SEC system, reviewed and assigned to a member of the enforcement staff. They will then reach out to us. We will discuss the information with them and, if requested, setup a call so that they can gather additional information from you. It takes a long time for the government to act. On the short side, it may take a year to see some progress (in the case of a Ponzi scheme where they decide to freeze assets). In more complex cases, it will take several years. There may be a government subpoena, a Wells Notice, meetings with the company, and a subsequent decision on whether to bring an enforcement action. Settlement discussions may also take place during this time period. If a settlement is reached, it can take months to finalize it. If they proceed with a lawsuit in federal court or in an administrative tribunal, it can take additional time to prepare the complaint. Lawsuits can take years to reach trial, and then there may be appeals. After there is a qualifying judgment or settlement in a case, the SEC will issue a Notice of Covered Action. This notifies whistleblowers that the to submit a claim for an award is open. Following the notice, there is 90 days to submit a Form WB-APP. This is the government form where we make the case for a reward based on the whistleblower’s information and contribution/assistance. It must be submitted before the time frame started by the Notice of Covered Action is completed. The SEC staff review the file and contact the enforcement team for information about whistleblower involvement. They then make an initial recommendation for awards, if any. 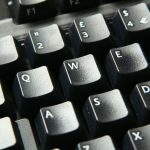 A whistleblower has the opportunity to object and submit additional information. They also may engage in discovery. Following the submission of additional information and the SEC’s consideration of it, a final determination is made. If necessary, an appeal is permitted to the Court of Appeals. For additional information or a free consultation, call 1-800-590-4116.